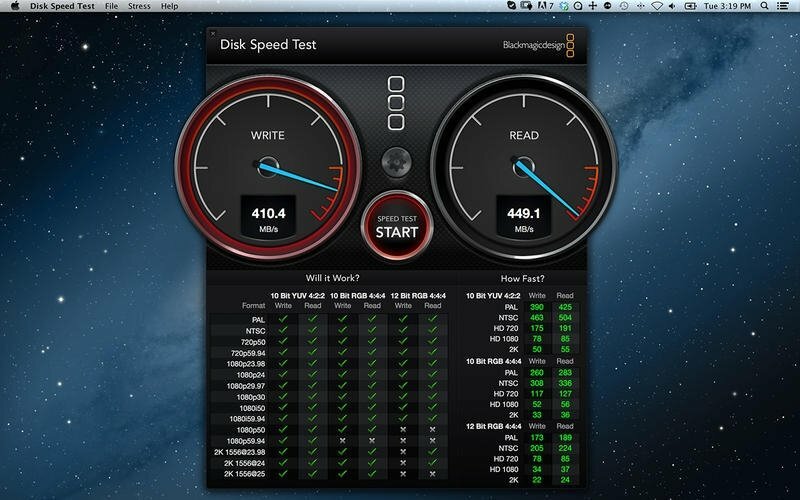 Does your Mac's hard drive work how it should when you edit and process video? 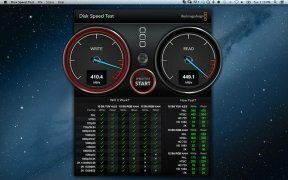 You can now find out thanks to Blackmagic Disk Speed Test, a tool that allows you to measure the performance of your computer's most important storage unit. Editing video can get to be very demanding, making the hard drive continuously read and write large blocks of information. 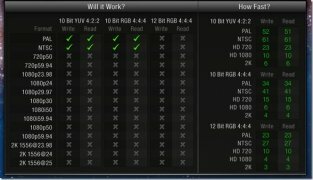 With this tool, you can check if your computer's performance is really what you should expect, putting it through a process similar to editing and producing audiovisuals from your computer. If you're an editing professional, you definitely need to have this tool on your Mac computer. 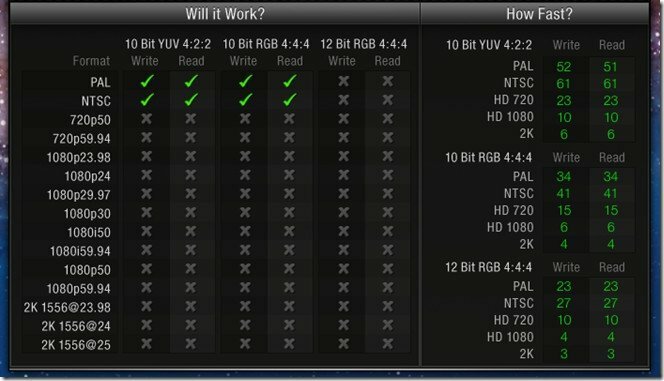 With this application, it's very easy to assess both the reading and writing capacities of your computer, offering useful information about the hard drive's performance depending on the format and the video resolution.